← I’m in Paris! But…Where’s my dad? 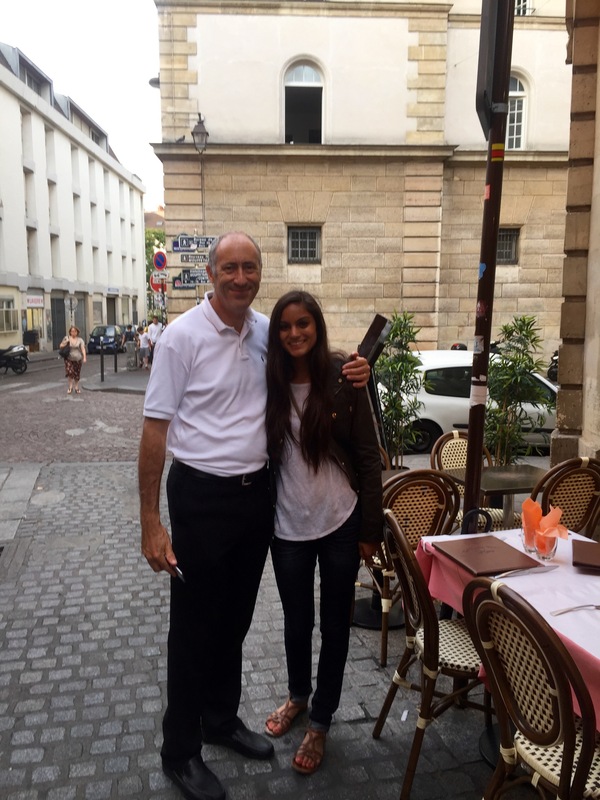 Reconnecting with My Dad’s Past… In France! Because going to France means so much to my personal life and my childhood, it was my goal to meet my dad’s really good friend from back in the day. In all my recent travels, I like to connect it back to my dad somehow because it helps me get closure with my tragic loss. I reached out to someone who was a mentor, friend, and colleague to my dad — someone who had such a big impact on my dad’s life that I will ever forget. It was so fun to reminisce knowing my dad was smiling from up above. It is a night that I will never forget and that I am so thankful for! I love being reminded of who my dad was and what his personality was like, because often times cancer fogs that image. The reconnection made me love my Paris trip even more!